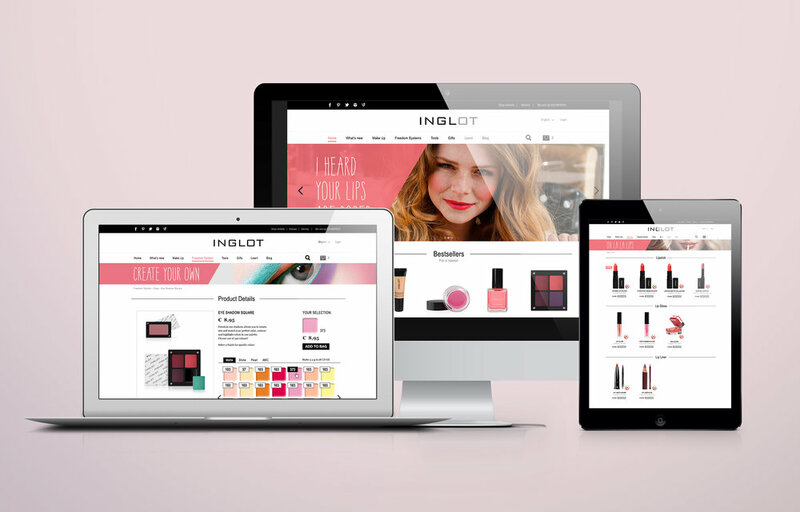 Launching into the Dutch market, makeup brand Inglot needed a new brand strategy and identity for their website and webshop. Our mission was to inspire women to find their beauty, and dare to show it. ‘Stop concealing, start revealing’ is based on the insight that women feel prettier, and better about themselves, when they focus on what they consider to be their best features. By using makeup they can draw attention to everything they like about themselves, and reflect their personality with colours they love. We translated our brand statement: ‘Colour brings out the brightest version of you’ into colourful designs for web and retail. The outspoken graphical style, in combination with ‘real world’ models, is distinctive compared to the artificial, harsh look we often see in beauty advertising/promotion. Inspiring women to celebrate their beauty and reflect their personality with colours they love.